It is no secret whatsoever that I am a Harry Potter fan. Whether you've followed me for a while or just for five minutes, Harry Potter creeps in here and there; from my Deathly Hallows tattoo, to hints at books, prints and other collectables in the background of many Instagram posts, I do love the magical world. So when I tell you that visiting The Making of Harry Potter at Warner Bros. 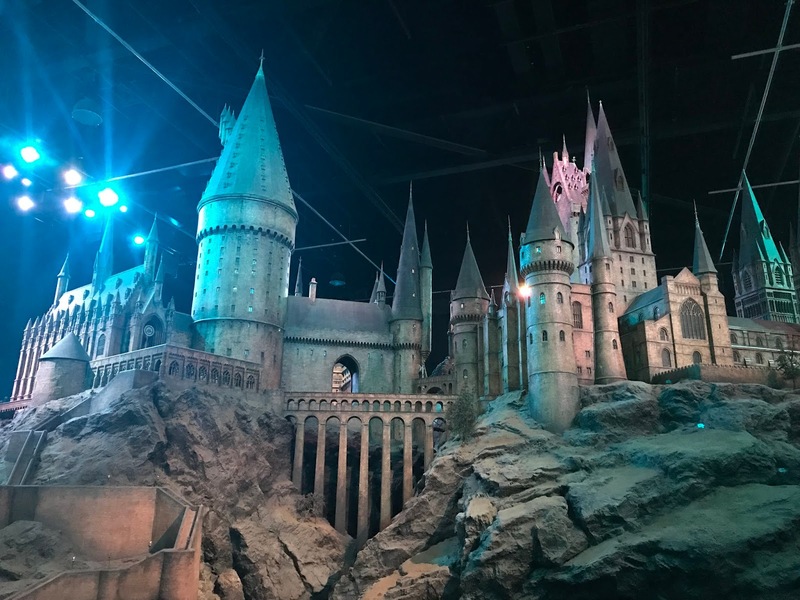 Studio Tour London is THE ultimate experience for anyone who has read the books or seen the films, you'll know I'm not lying - and to be honest, it's a pretty cool place even if you aren't a complete Potterhead! We were invited along to a special event to celebrate the Goblet of Fire special season event (on until Sunday 23rd September, so still plenty of time to catch this feature) and I can honestly say it was up there as one of the best opportunities my blog has ever offered me. It couldn't have been more perfect for me and we had such a fantastic time. I've been to the studio tour twice before; once around six years ago, and again two years ago, with Ethan in tow. Since then, a lot more has been added and it really is a unique day out that has a lot to offer. Have you ever been on a real life movie set? Probably not, and this is a really unique chance to get a close look at the mystery of film-making. There's all the key sets from the films, from Hogwarts (the Great Hall - an impressive start to your visit- and the dormitories, Dumbledore's office to Hagrid's hut, plus Snape's potions class) to The Ministry of Magic and plenty in-between. There's costumes and wigs and paintings and props and just so much packed onto every wall and through every inch of the tour, it is a real feast for the eyes. If you don't want to miss a thing, there is an audio guide you can buy to reveal information and details that will see you come out the other end of the tour as a bona fide expert. 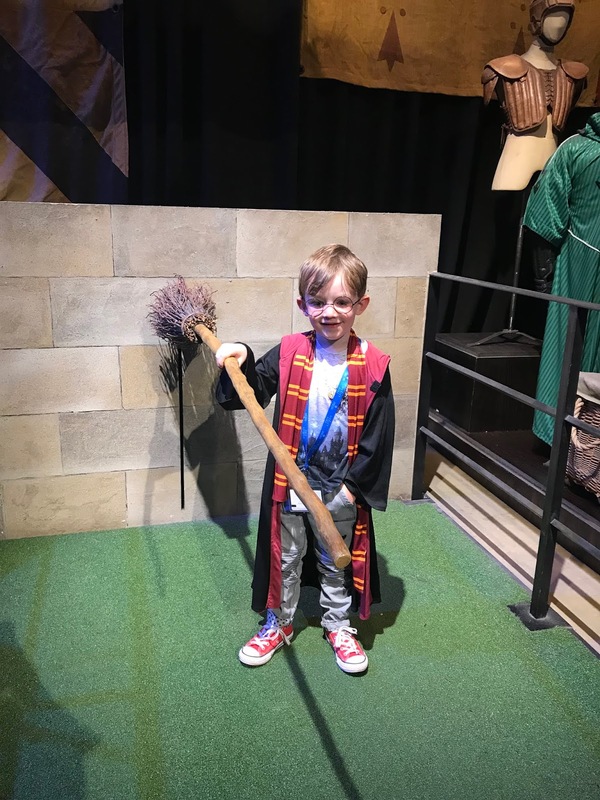 Whether it's spotting your favourite characters flying high above you on their broomsticks, or searching for all the different creatures from the films, there is a lot to take in during your visit. A real part of the studio tour experience is the chance to put yourselves onto the sets and into the shoes of Harry and co. You can soar over Hogwarts on a broomstick, be caught as a number one undesirable wizard, take a seat on the Hogwarts Express (just watch out for the dementors), all of which will be captured on camera. This is a huge highlight, but if you want to stick to your own photos, you can climb aboard the Night Bus, knock on the door of Harry's home on Privet Drive and even take a seat in Mr Weasley's car. Once you've emerged from the Forbidden Forest (tip: if you want to avoid the spiders, as you enter, there's a cut through to the right so you can miss out on Aragog and friends), you turn a corner and right before you, you will find Hogwarts Express in all its glory. It really is fantastic to see and what's more, you can climb aboard and feel like you're embarking on your first day at Hogwarts. Each carriage is set up to look like a different scene from the film, and outside you can pretend you're pushing your trolley through Platform 9 3/4! Of course, there's online shops and plenty of places where you can pick up something related to Harry Potter, but the studio naturally does it one better. On the day, you can enjoy a genuine Butterbeer at the Back Lot Cafe, but there's several stops along your journey where you can pick up something to remember your visit by, from clothes to toys, homeware to jewellery. The big store at the end is well worth exploring and you could even come away with your very own wand. There's honestly so many reasons why I love The Making of Harry Potter. When we left, I felt like I still hadn't seen everything and I'm already thinking about the next time we can go. It's an immersive experience with so much to offer; I haven't even mentioned the wand shop, where you can try and spot as many actor's names as you can, or the awe that comes over you when you see the Hogwarts model for the first time. It is truly a place of magic and wonder, and what's even more wonderful is how they are adding to it all the time, with more features and secrets to be told. The Goblet of Fire will be returned to the Great Hall for the first time since filming wrapped in 2010. 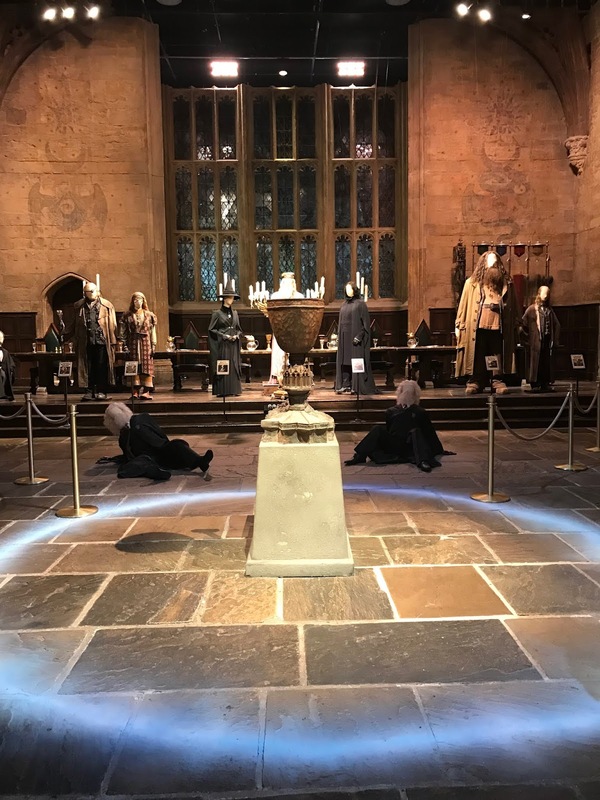 Every visitor to the Great Hall will see a live Special Effects demonstration showing how the Triwizard Champions’ parchments were expelled from the Goblet, even receiving a souvenir parchment to remember their visit. During filming, two versions of the Goblet of Fire were created for different purposes. The original goblet was hand-carved by Head Propmaker, Pierre Bohanna, from a single piece of wood chosen for its twists, knots, and splits to give it an organic, ancient quality. A mould of this was then taken for the Special Effects version that was rigged to propel the parchments of the four Triwizard Champions. Visitors to the Studio Tour will see both versions of the Goblet of Fire up-close as part of the feature. Harry Potter fans will remember Harry’s trip to the Prefects’ Bathroom on the advice of Cedric Diggory, after completing the first challenge of the Triwizard Tournament. The iconic Prefects’ Bathroom taps will be displayed in the Studio Tour complete with multicoloured water running from each of the 53 spouts, just as seen on-screen. Created by award-winning Special Effects Supervisor, John Richardson, the taps were cast in real bronze for strength and durability on set. Visitors to the Studio Tour during the special feature will also discover behind-the-scenes secrets of He-Who-Must-Not-Be-Named in a display demonstrating how Voldemort’s seemingly simple costume was adapted to show both his strength and vulnerability throughout the films. In addition, many new props and costumes from the Triwizard Tournament will be on display including the boot Portkey that transported Harry, Hermione and the Weasley family to the 422nd Quidditch World Cup. Tom Riddle’s grave will be displayed in the Studio Tour allowing a 360 degree view of the sculpture, providing the perfect photo opportunity for fans of the Dark Arts. The sculpture was created before the details of Voldemort’s lineage were known meaning the dates had to be changed in post-production. Lastly, visitors will see a new addition to the majestic Hogwarts castle model; a scale version of the Beauxbatons carriage complete with winged horses poised to land on the Hogwarts grounds for the first time ahead of the Triwizard championship. For visitor information, visit here, and tickets must be bought in advance online here. 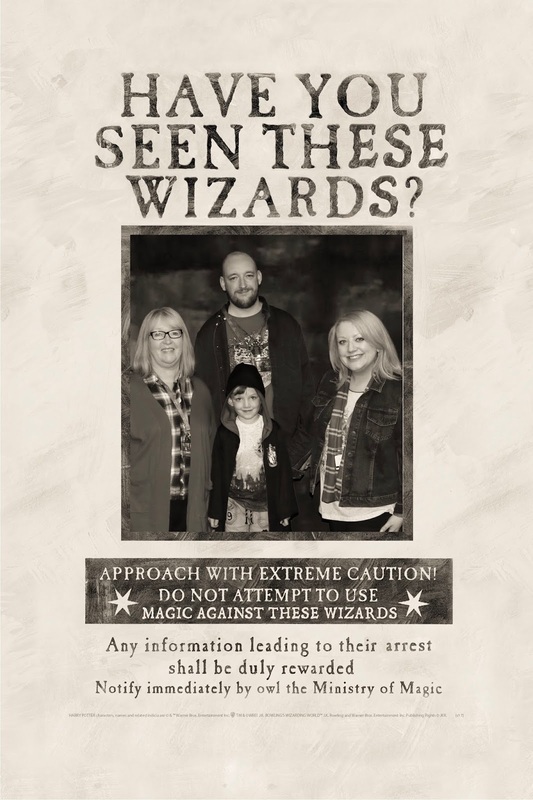 * We were invited to the studio tour for a special event, but all tips, content and big grins are our own!